Running out of memory? Need help stabilizing your cluster? 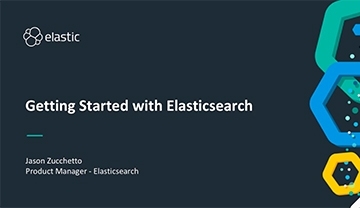 Want to get the most out of Graph or security on the only hosted Elasticsearch service supported by Elastic engineers? Email-based support from the Elastic team to help keep your cluster green and available. From analysis of your cluster state to actions you can perform to stabilize your cluster, we're here for you. Send us a note and we’ll be on the case. Still stuck? Learn more if you want to send a direct email. Call on the engineers behind the Elastic Stack to get help with memory usage, architecture advice, scaling, upgrading, and more. We’re here to lend a hand with making your hosted Elasticsearch deployment work for you. Ride-sharing company Lyft migrated their logging use case from Amazon to Elastic. Learn the basics to spin up and customize your cluster with Kibana and powerful features. From getting started to securing Elasticsearch and Kibana, the docs have you covered.